Hi all! 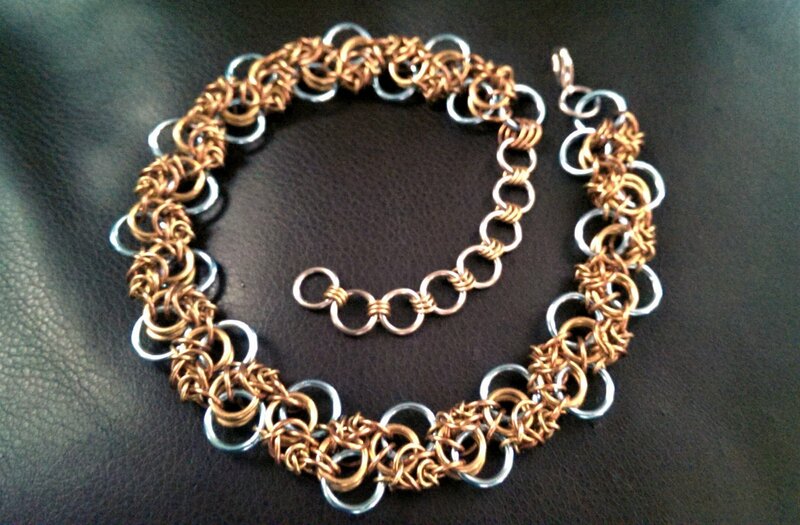 So I had some left over links of many different sizes and several materials including brass, bronze, and anodized aluminum (all thanks to Ringlord ) So, I must have channeled a weave I've seen somewhere but I can't find anything very similar. Does anyone know what this weave is so I can stop calling this choker "leftovers"? Thanks!